I can't believe it is almost Valentine's Day already! Are you celebrating Valentine's Day in your classroom this week? 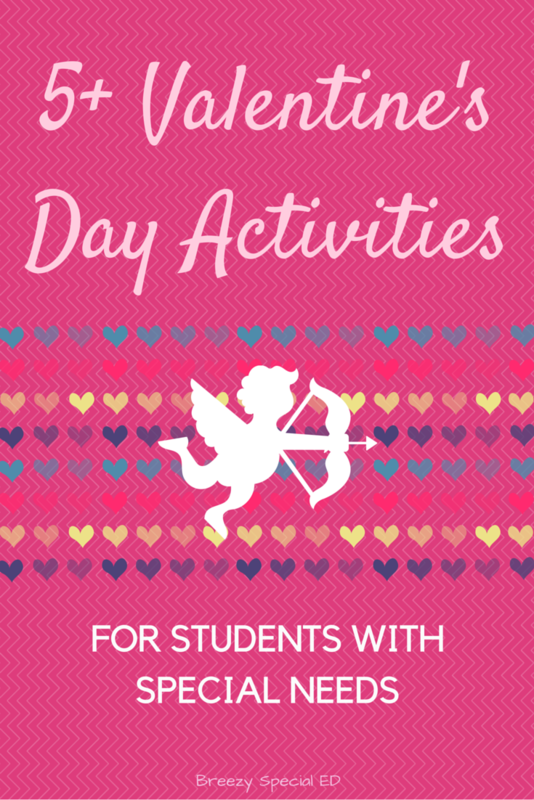 Here's a few of my favorite Valentine's Day activities that you can easily include in your activities all throughout this week or for your Valentine's Day parties! Valentine's Day Crafts - Inspiration from Instagram! This past week we were sharing crafts on Instagram and I was loving the heart themed crafts! Any and all of these would be great to do for a fun Valentine's day craft. Thanks for the inspiration ladies! :) Be sure to click on the links and follow these awesome teachers! Grab this easy art pack from Teaching Special Thinkers here! Be sure to check out more of this past week's crafts by searching #spedcrafts! 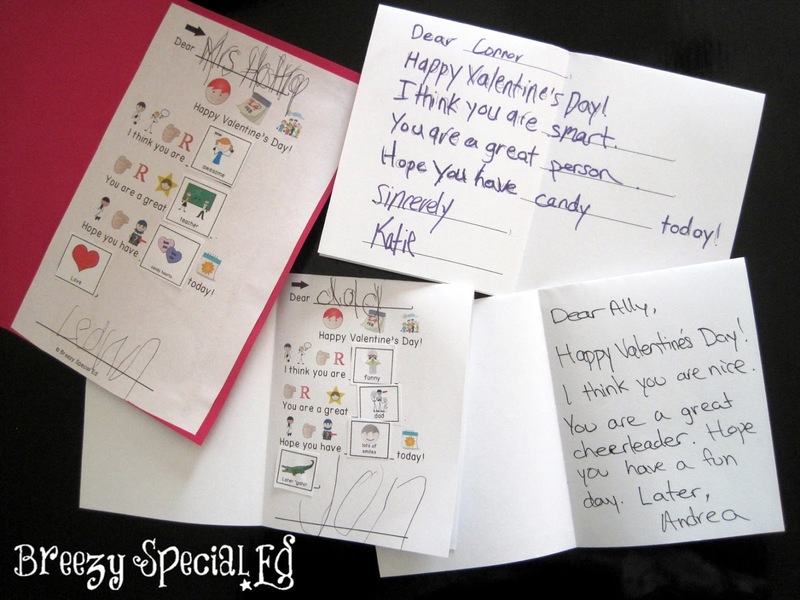 Of course, you can't have a Valentine's Day party without cards! I love these cards because students are able to personalize their card, not only by coloring it, but by including their own words and thoughts, making it a really meaningful card. These cards include symbol support and choices for your symbol readers, tracing options with visual choices for your beginning writers, and mix and match sentence starters for your students who might be able to write, but sometimes need some help thinking of what to say! You could have students write to everyone in their class, their parents, siblings, grandparents, and the list goes on! Have fun with it! 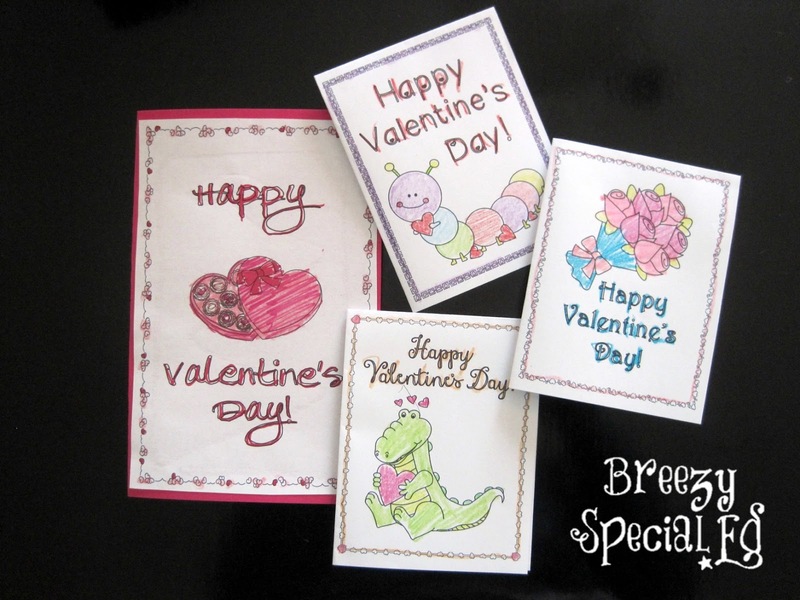 You can grab these differentiated Valentines cards here. Of course, if you can have candy in your classroom, conversation hearts make the perfect bingo markers! I loved doing this estimating lesson. This is great for your students who need a bit of a challenge. This activity is a freebie from Miss Britnee on TpT, read more about it and grab the freebie here! We also did conversation hearts with my lower students! We practiced color sorting, counting, and graphing. There are like 50 freebies for activities like these on TpT! 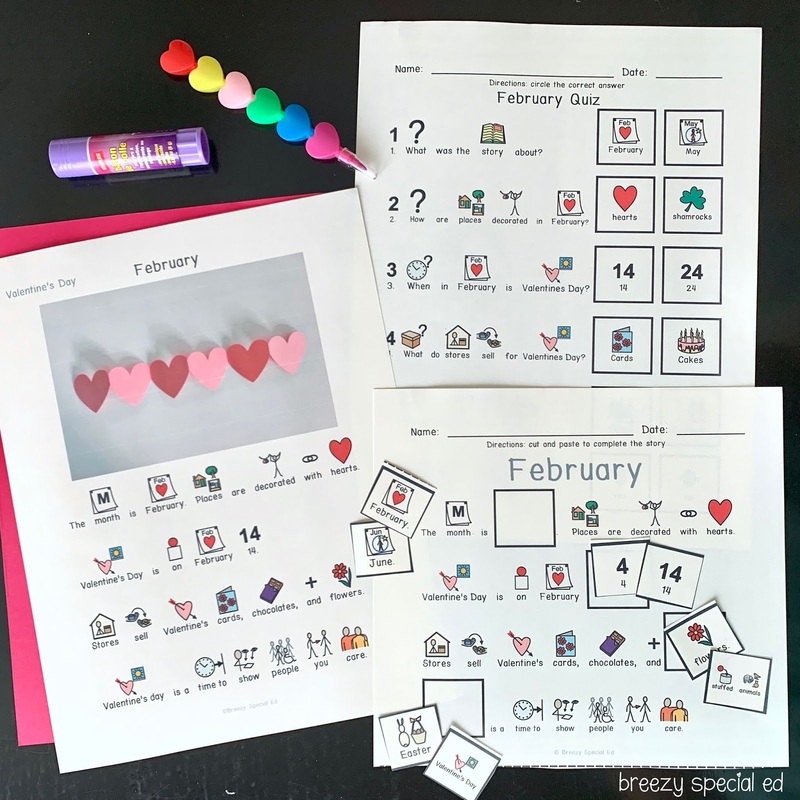 I thought these free worksheets looked great, and check out even more candy heart math lessons here. This is such a fun and classic activity. If your students love candy, they will love doing these math lessons! 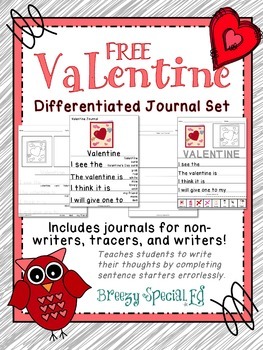 Try out this free Valentine's Day journal in my TpT store. I absolutely love how these journals allow for my students to write using their own thoughts errorlessly and that there is an appropriate level for all of my students. 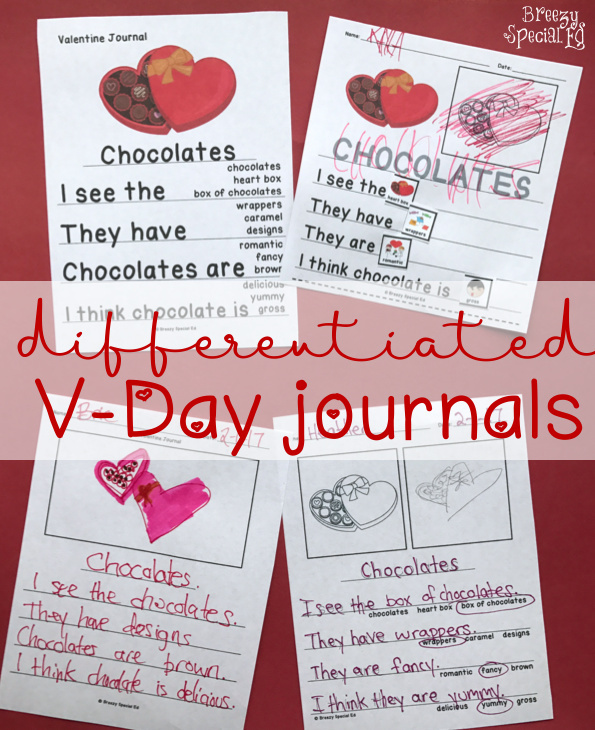 Grab this FREE journal here or check out all of the Valentine's Day journals here! 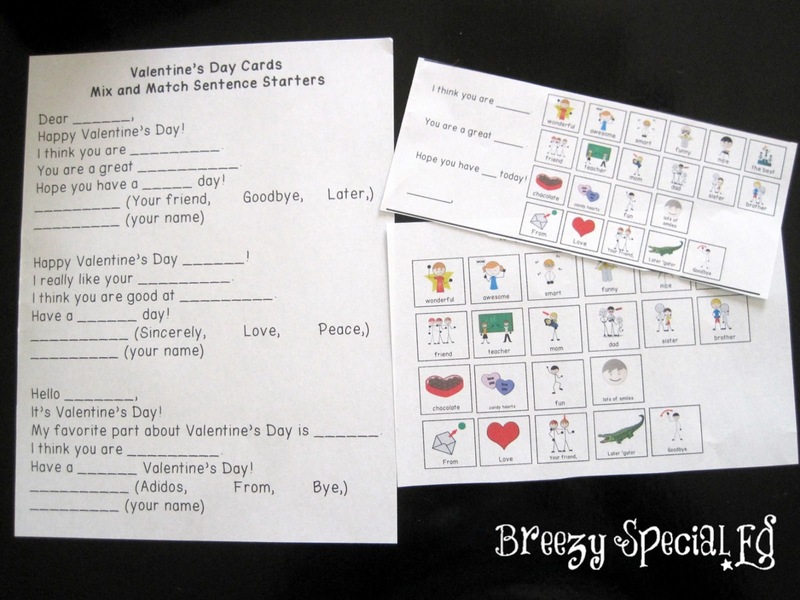 Designed for non-to-beginning writers, symbol picture support helps students be more successful at reading in this Valentine's Day comprehension set! This is a mini set with 5 stories instead of the typical 10, perfect to use the week of Valentine's Day! These five reading passages are all about Valentine's Day including: February, valentine's cards, candy hearts, chocolates and Valentine's Day. There are five different stories along with reading comprehension activities including: a cut and paste cloze (fill in the blank) activity and a quiz. Grab these reading activities here! Still looking for more Valentine's Day ideas? Check out my Pinterest board full of ideas below! What are you doing for Valentine's Day? I'd love to hear about it!